Pet owners are creating playlists, leaving the TV on and even leaving pictures of themselves in prominent locations to keep their pets happy when they are home alone, it has emerged. Researchers who carried out a detailed study found around two-thirds of animal lovers go to quirky or extreme lengths to ensure their beloved furry friends are entertained in their absence. 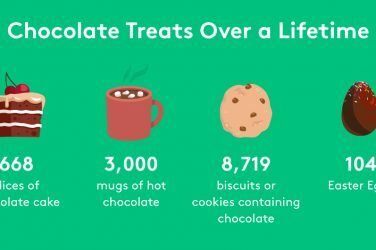 Putting the radio on, leaving treats and even putting clean sheets and duvet covers on beds also made the list, following the study of 2,000 pet owners. The study was commissioned by Centrica Hive whose Hive View camera enables animal lovers to keep an eye on their pets. The research also found half of pet owners wished they could keep an eye on their animal when out of the house. It emerged one in seven pet owners have kept an eye on their pet when out and about, typically using two devices in separate rooms to watch their furry friend. Checking up on their animals an average of five times a day, adults typically monitor their mutts and moggies when at work, popping to the shops or during a night out. Sixty-one per cent of UK adults spying on their pet reckon they have stopped their pet from misbehaving by monitoring their movement. But half of these pet owners have felt a little guilty for keeping a watchful eye on their animal, and not giving them their privacy. However, being able to watch their pet when out of the house gives them peace of mind and leaves them feeling happy and relaxed. The study found of the pet owners who don’t watch their furry friends through a live feed, one quarter said it’s because it’s too expensive. And nearly a fifth reckon it’s too complicated to set up in the first place. Tom Guy, Global Product Director at Centrica Hive, said: “We’ve noticed a real trend of people using smart devices such as cameras to stay connected to the things they love most – like their pets. Three in 10 of those polled would be given peace of mind if they could watch their pet when popping out. A quarter would feel happier if they were able to talk to their pet when not at home, and nearly a fifth would feel more relaxed. Two-fifths of UK pet owners want to watch their pets purely to check they are ok, but a quarter want to ensure they aren’t misbehaving. 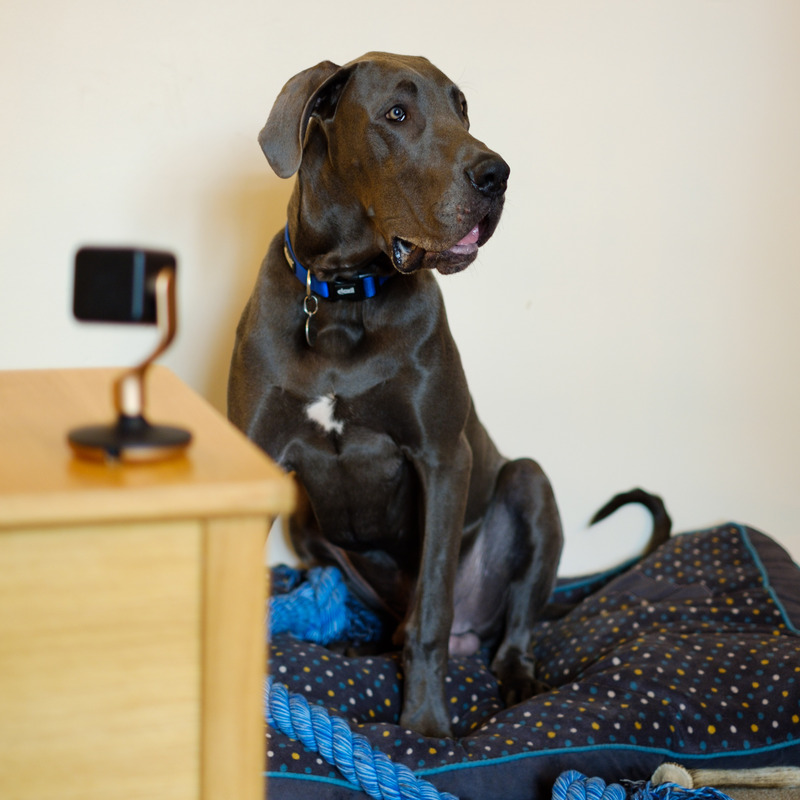 Ashley Phillips, 24, from London is the owner of her dream dog, Elvis the Great Dane, and uses the Hive View camera to stay connected and reassure her new bundle of four-legged fur when she’s not around. Ashley said: “My friend told me I should try out a smart camera so I could keep an eye on Elvis when I was out and speak to the dog sitter easily if they had any questions as well. Ashley added: “We currently have a Hive View camera and the live-streaming combined with two-way audio and screenshots all available on my smartphone enable me to stay close to Elvis even when I’m not there. 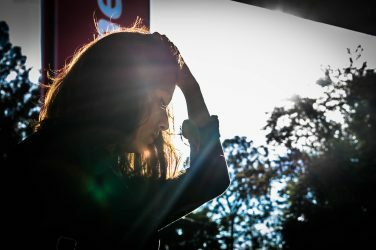 “For example, once I had just finished coffee with a friend when I caught a glimpse of Elvis using the sofa as his afternoon snack, so quickly spoke through the app and the response was hilarious.